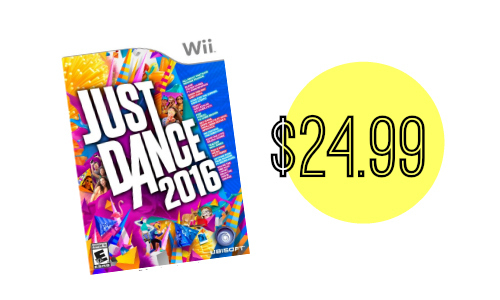 If Just Dance 2016 is on your shopping list, grab it on Amazon today. You can get it for $24.99 (reg. $49.99). The games are available for Wii, Wii U, Xbox One, and Xbox 360. Just Dance Disney Party 2, $19.99-$21.99 (reg. $39.99). Shipping is free on orders $35+ or you can get free 2-day shipping with Prime.